Between the blue of the sea and the green of the hills lies Castiglione della Pescaia. The town, a renowned seaside resort, is known for its beautiful beaches and extensive pine groves that stretch as far as Marina di Grosseto, ending in the charming Pineta del Tombolo. Perched on a spur of Monte Petriccio, the medieval town is protected by remarkable walls with plenty of towers, gates and a 15th-century castle. Centuries past to the east of the tower there once stood Lake Prile, and next to the water an Etruscan settlement, which became Portus Traianus in Roman times. With the passing of the centuries, the lake dried up and the vast swampland that formed there was reclaimed thanks to work commissioned by the Grand Duke of Tuscany Leopoldo. 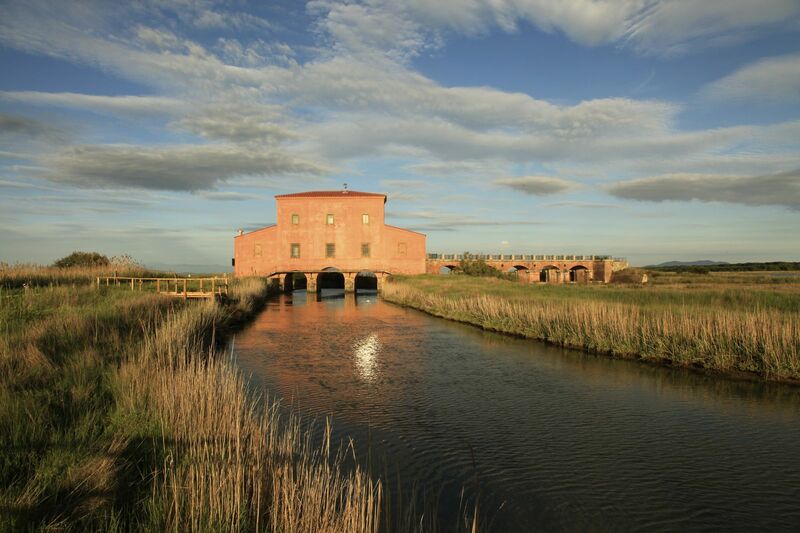 In the place of the ancient lake now there stands the Diaccia Botrona nature reserve, regarded as the most important wetland in Italy and acknowledged as an area of international importance for the rare ecosystem sited there. Castiglione della Pescaia is an old fishermen’s village, whose picturesque harbour is still the mooring place for sailor every night with their vibrant catch, making way for the countless yachts that cast anchor in this sought-after resort. The town is nestled in greenery, home to many animals. The bird life here is particularly interesting, as too is the rich and variegated flora. The Castiglione della Pescaia area is perfect for long walks, horse and bike rides, all of which benefit from the trails and roads that head deep into moss and pinewoods. The seawater is a balm to the senses and the long stretches of fine, light sandy beaches extend to the edge of the pine groves. Sun worshippers and sport lovers love the sailing and the refreshing seaside lifestyle at Castiglione della Pescaia. The beaches, even the most isolated ones, provide the perfect getaway from the noise and crowds at other bathing establishments along the Tuscan coast. While you are in the vicinity, check out the surrounding area, such as Vetulonia, one of the most important Etruscan settlements, whose burial ground and archaeological museum are worth visiting. Venture to Tirli, a town that relates how life in the Maremma used to be, famous for its authentic rustic food. Then there’s Buriano, with its medieval castle and stunning views over the Maremma. Lastly, 15 kilometres from Castiglione della Pescaia stands Punta Ala, the famous luxury tourist destination, known for its harbour and decked out with some of the most state-of-the-art equipment in the whole of the Mediterranean.